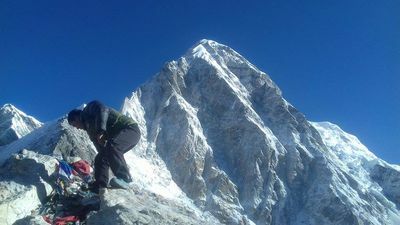 Everest base camp trek is one of the adventure that is loved by all the travelers around the globe. 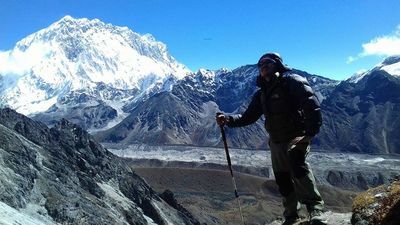 The base camp trek to Everest has many best view points for Everest to see including the kalapather view point as well as syangbochea view point. The Everest base camp is not a fixed place its changes due to glacier moves. The base camp adventure to Everest is not suitable for all age group . People need to be fit and healthy to do this adventure. The base camp trek starts at lukla and ends at lukla. the base camp trek can be start from fablu or jiri too. Everest is the highest mountain and everyone have dream of doing it one day that is why we magic Himalaya treks operated this trek on reasonable prices. Accommodation :Hotel or resort as per your request. Meal Includes: Breakfast. In general we prefer BB plan for your stay in cities so, you can choose Varieties of foods menus in different restaurants around cities. Day 02: Fly to lukla (2840 m) and trek to Phakding(2652m). Day 03: Trek sherpa capital Namche-bazzar (3444 m). Day 04: Namche Bazaar -Acclimatization Day. Day 07: Dingbochea – Acclimatization Day. Day 09: Trek to Gorekshap (5170 m)-Everest base camp trek (5364 m) – Back to Gorekshap. Day 11: Trek down to Namche-Bazaar. Day 12: Trek down to Lukla. Day 13: Fly to Kathmandu. Tea houses accommodation during trek and hotel in city. Magic Himalaya treks and expeditions PVT LTD is a locally based hiking company in Kathmandu specialized in Adventure travel and tour packages in Nepal.